I love love love these tires. Been running them for many years on my Tundra. I drive a lot in the mountains and these tires provide great traction on dry, wet, and snow conditions. Only tire I would buy. The newer model (2) are pricey but worth it. Only 32,000 miles on these tires and tread is almost down to the wear indicators. Traction in snow is horrible. Otherwise quiet and stable. Very disappointed in these tires. Used to have outstanding wear with Michelins. Got over 90,000 on first set. Bought another 4. Very satisfied. Worst tires I have ever owned. Very unhappy. Tires have 10,000 miles on them and they look half worn. There is no traction in the snow, rain or sand. I have to go everywhere in 4WD. Save your money buy something else. Have 1500 miles on them now. Super and best of all on my H3 they are totally quiet. And with a soft mellow ride; very surprising. Stop well in heavy rain; no snow here and I do not do off-road. They should have 35 psi --if no Trailer, etc. Great tires smooth riding and very quiet. I pull a 10,000 lb 5th wheel and I find they stay quite cool on hot summer days towing all day. Best tire I could ask for. I have had these tires about 37,562 miles now and I will definitely say these tires are pretty darn good tires. Steering Response- Phenomenal. Rainy Traction- Never had better. Everyday (Dry) Driving- Great, as expected. Snow Traction- Now here is where it gets interesting; these tires do fine... with 440lbs worth of sandbags in the box not to mention the 250lb tool box back there, too. Often times, I pull a 16ft trailer with a bit of tongue weight and, even with the sand bags and tool box, I still have a heck of a time getting anywhere. Yes, I realize it's a 2wd truck, but I think tires should do a little better than my experiences. P.S. They have been this way in the winter since I got the tires. Not just recently. Overall, I would say they are great tires for highway/light off-road/all-season tires. But a little more aggressive tread may help a bit in the winter. I have had these tires about 37,562 miles now and I will definately say these tires are pretty darn good tires. Steering Response- Phenomenal. Rainy Traction- Never had better. Everyday (Dry) Driving- Great, as expected. Snow Traction- Now here is where it gets interesting; these tires do Fine... with 440lbs worth of sandbags in the box, not to mention the 250lb toolbox back there, too. Often times, I pull a 16ft trailer with a bit of tongue weight and, even with the sand bags and toolbox, I still have a heck of a time getting anywhere. Yes, I realize it's a 2wd truck, but I think tires should do a little better than my experiences. P.S. They have been this way in the winter since I got the tires. Not just recently. Overall, I would say they are great tires for highway/light off-road/all-season tires. But a little more aggressive tread may help a bit in the winter. I was told I wouldn't need snow tires with these and this was true. Traction is nearly as good as snow's due to the extra sipping on these. I don't spin on wet road anymore. Tread wear after 25,000 miles is very good as well. Would recommend even though they are more expensive than cheaper brands. Great tire from a great company. I am a little disappointed with these tires as I see a lot of others are with their mileage. I also have only 20k or so on them and they are showing a lot of wear. Could there really be a rubber problem on select tires? Other than the wear, I love the tires and will probably take a chance and get another set, hoping I just had bad luck and the new set will do much better. Just bought this set of tires because I had the same ones on for 7 years at 65,000 miles. and they still looked really good. Bought new ones because winter is coming and not taking chances but I really got my moneys worth. Great tires!! Not yet driven in the snow. Previously had Michelin tires and got a lot of mileage on them. One of the best tires I have purchased. I originally purchased LTX M/S2 for both my 97 Expedition and 2006 F350. The Expedition did not ride well with them so I had to change to Latitude Tour. The F350 did very well with the LTX M/S2. I don't beat on my truck or do burn outs. I only got about 30,000 km out of the tires, mostly on the highway. I thought I'd get more than this in only 2 years use. I protect the tires but still have dry rot. They wore out in center with proper inflation, and I check tire pressure every week and alignment. I really loved the tires and always switched brand new car tires to Michelin asap after buying a new car or truck if it didn't come standard with Michelin tires. Again, I really loved my ceiling tires but am currently looking to stick with another brand if Michelin tires are going to be like once a years good years. I'm going to miss the Michelin brand. GREAT TIRE, EXCELLENT HANDLING, TURNING IS GREAT. Great set of tires. Good performance as stated above. Quiet ride. Have purchased a set of snow tires too. Best tire Michelin ever came out with by far!!! I purchased these tires for this truck AS WELL AS for my 2004 Chevy Avalanche. These are the best tires I have ever owned on a truck! Now, having sold the Avalanche and purchased a Suburban, I have already seen about having these tires installed on the Suburban in early September! My old tires still had about 7/32 left but were slipping in the rain. I put these on and no matter how much I get on it in the rain from a stop light, I have great traction. It doesn't slip at all. Around corners at high speed, it grips the road great. Even with ponding on the road in heavy rain, there is no more floating feeling. They grip the road like they're glued to it. A much safer feel of the road. The ride is much better as well. That part surprised me. I was just looking for the best traction I could get, but the smooth ride is a bonus that I noticed as soon as I drove off from the dealer. These tires ride well and are very quiet. Since buying these tires in Mississippi, I have driven to Wisconsin and back on snow, rain, gravel, and ice. The tires give me a smooth and controlled ride in all situations. With these tires and new shocks, my 2001 Suburban with 110,000 miles rides so well that I will not trade it in for a newer Suburban. Great tires. Much better than the ones that came on it. Will always buy Michelin. EXCELLENT tire! Smooth Ride! Going to purchase a set for my 2010 Nissian Maxima. Excellent brand. These are great tires. Good traction and wear, quiet too. THIS HAS BEEN A VERY GOOD TIRE FOR ME. I HAD IT PUT ON MY NEW 2010 F-150 AND NOW HAVE 66,700 MI ON THE TIRES. I'M GOING THIS WEEK TO HAVE MY 2nd SET PUT ON. VERY GOOD TIRE. I have had these tires on my truck for 10 years now and they are just now needing to be replaced. Best tires I have ever bought for my truck. I have always bought Michelin tires, and in February, Birmingham, AL was hit with a snow and ice storm unlike any seen in years. Although they are street tires, these Michelins (with more than 20,000 miles) provided exceptional traction climbing 1,200 feet up Shades Mountain in Hoover, so that I could get home. I'm now even more of a believer in Michelin. Purchased four Michelin LTX-MS/2 245/75R16 tires in NOV/2012, to replace Goodyear SR/As that did not live up to their expectations. The new Michelin LTX MS/2 tires have really provided a noticeable difference with regards to handling, performance, and durability. Highway driving is quieter and the wet/dry handling has been great. I also no longer feel the sway that I had felt with the Goodyear's during cornering or lane changes at speed. This 2013/14 winter driving season was quite brutal with frequent snow/sleet and the dreaded pot-holes. Still no problems. At 12K miles, these MICHELIN tires have shown little to no tread wear and are as good as the day I decided to install them. I have no negative experiences to report. With a 70K mile warranty, I don't feel that I will be needing tires for several years, but if that need does present itself, I will purchase these tires again. If not for this vehicle, but any future vehicles I drive. I also would have no problem recommending them to friends or family. 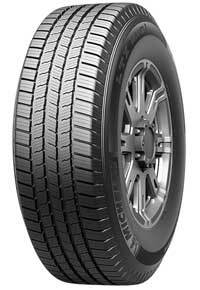 The LTX-MS/2 tires are an investment in protecting you and the ones you care for. The tires are great and makes my Lexus 2001 LX470 run like a brand new car. Absolutely love these tires!!! Great Tire and would buy again. Been driving for over 40 years and this is BY FAR the best tire I have ever run on. Not just the best truck tire, but the best ever! I'm on the highway a lot and it is extremely quiet and smooth. These tires are awesome in all dry and wet conditions and more than adequate in the snow. I would highly recommend this tire to any light truck or SUV owner. 2nd set of these tires purchased. I love 'em!! Great all around tire. I pull a snowmobile trailer, boat trailer, and equipment trailer. Great in snow, wet, slippery rocks, and mud! Love 'em!! Absolutely love these tires!! Quiet yet still meaty. Handles perfectly for the size tire it is. Michelin is the only brand I will EVER buy!! I have these LTX M/S2 on my truck, my wife's truck, my stepson's truck, and my stepdaughter has some Michelin's as well on her KIA Soul. This vehicle came with 18" tires. I would like top of the line tires. I also would like a great price. I will buy four new tires. This was the best tire I've ever purchased for the money. I got lots of miles out of them as well as a nice smooth ride. They are not a real aggressive tire and living in Florida, you can get stuck quick in the sugar sand but I just put it in 4 wheel drive and no problem. This tire wore very evenly. I put nitrogen in mine. Simply a great handling, great riding, all around tire for my F250. Replaced my Original Stock BF Goodrich Tires at 45,000mi with these tires. I have a 70K warranty and the tread have all but worn out after less than 30K miles. Their performance in heavy rain, snow, every day driving to and from work (3 miles each way to train station) has been great. I don't know if mine were made with bad rubber or what, but they have just worn out and now I have to get them replaced with less than 75k on the truck. Of course, I put so few miles on the truck the miles warranty would get me some credit, but the months owned will not. My dad has the same tires and his seem to be holding up okay. Love the tires and the service provided! Simply elated!! Customer for life!! We purchased these tires last fall. The ride is incredible. These tires are great all around. I would buy another set tomorrow. Great winter traction as well. Great tire. I have put them on 3 vehicles. Quite ride, perform well in all conditions including rain and snow. I Have 35,000 miles on this set and still look brand new. Got over 80,000 miles on my last set. These have been great tires. I have gotten almost 65,000 miles on them so far and they are still showing some wear. I will definitely replace with the same tires. Great tire. Smooth quiet ride along with durability. Would definitely purchase again. Only gave 3 stars on snow traction because it's only snowed 2 Times in Alabama for a total of 3". Overall I'm disappointed with this tire. I have 40k on mine and they are pretty much bald. I drive pretty conservatively and never get less then 60k out of a tire. They did wear very flat, even with no cupping or funny wear. These replaced a set of the prior generation LTX M/S that had over 80k on them when I replaced them. I also will note that the snow traction is nowhere near the prior generation tire and I have had a couple flats from potholes that any truck tire should handle easily. On the positive side, they ride very well, corner well and are very stable on the freeway with a quiet ride. They are great in the rain and towing they are very stable as well. However, I do not think I would buy these again. They are a very good tire but not the exceptional tire that one would expect from Michelin at the price point these tires command. I wish Michelin still made the prior generation LTX M/S in my size, I would buy those again in a heartbeat. This generation I will not. I'm now looking at other options. Glad I spent the extra $ for these tires. I got 65,000 miles out of these tires, where as others I have had on my vehicle, I was lucky to get 20-30k. Resists well to hydroplaning. Great snow traction, pretty good off road, great durability. 10/10. The best tire I've ever purchased. I'm buying another set this weekend. Didn't get 30k miles out of rear tires. Not a 70k mile tire. Not happy at all. Glad I spent the extra money for the good tires! Bought them 5/14/11 and they still look REALLY good!